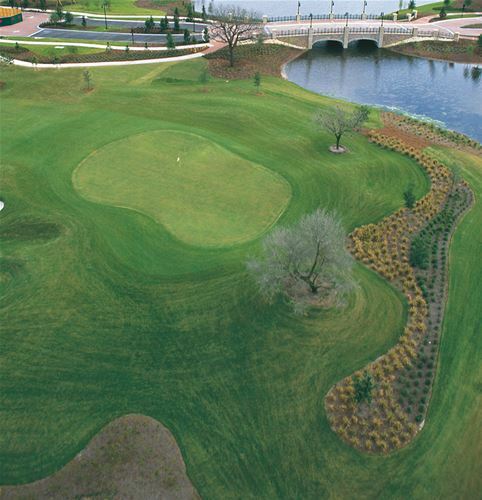 Eagle Creek Golf Club is 18-hole, 7217-yard, Par 73 championship course with five sets of tees for golfers of all skill levels. Eagle Creek is Florida’s first golf course to use the technologically advanced Mini-Verde grass, resulting in exceptionally fast and vibrant greens. Eagle Creek also offers a two-sided driving range and practice hole with bunkers. This course was designed by golf course architects Ron Garl and Howard Swan and gives you that traditional European style. 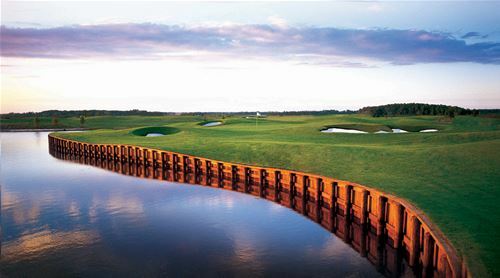 Florida Golf Packages along with My Golf Vacation are proud to be able to have you play at Eagle Creek Golf Club! Finish your round with a stop at the Belfry Restaurant! The Brisket Burger or Chicken Quesadilla are a sure fit for lunch and you will find Monday thru Friday Happy Hour Specials! 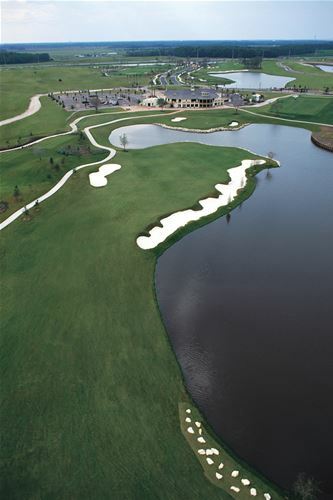 Eagle Creek Golf Club also has a Pro Shop that is a true treasure trove for the golfing enthusiast. We dare not leave out one of the most popular amenities at Eagle Creek, the private locker rooms and showers for both men and women. Golf travelers who are just arriving into Orlando, or getting ready to fly out after their round of golf, will appreciate the convenience of the deluxe spa-style accommodations Eagle Creek has to offer.